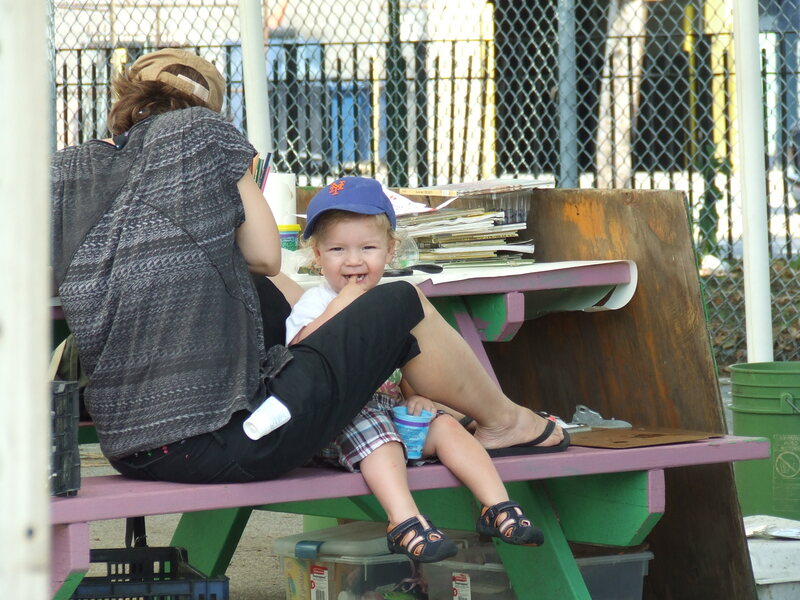 Thursday, July 7th 2011 – Brooklyn, NY – Last Saturday I spent my first weekend of the season with Linda Marie Ameroso and Cornell University’s Cooperative Extension focusing on community outreach for Red Hook’s CSA, a supportive arm of Added Value. My involvement with Added Value began early in 2010 as a CSA member, buying in and getting a half share in 2010 (locally grown and sourced organic produce, herbs, eggs and fruit). Last fall, I was approached by the CSA core group to with the hopes of bolstering their community outreach. 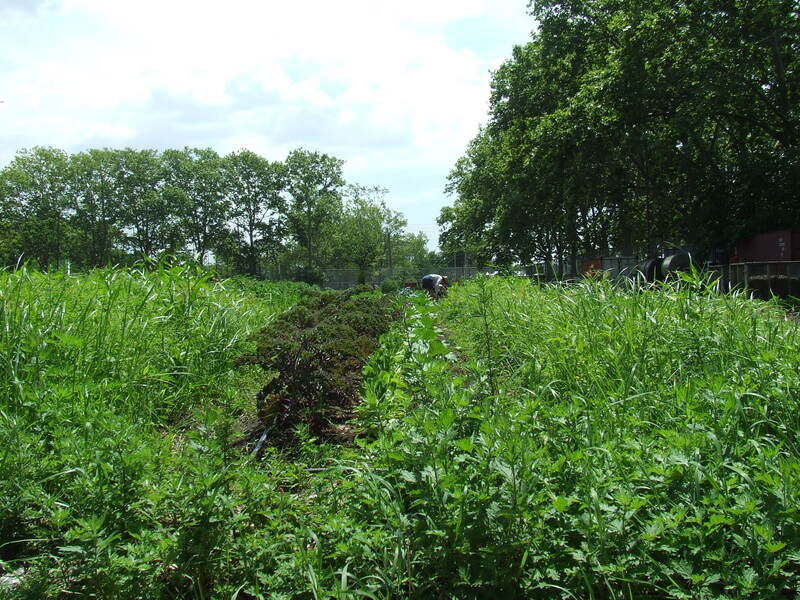 Added Value Farm fills CSA orders and provides nutritious foods to families in the 11231 zip code. The CSA Core Group consists of about a half a dozen people, each with a specific role who executes all of the needs of the CSA while interacting with and reporting directly to Added Value’s Ian Marvy and Kristen Shafenacker. 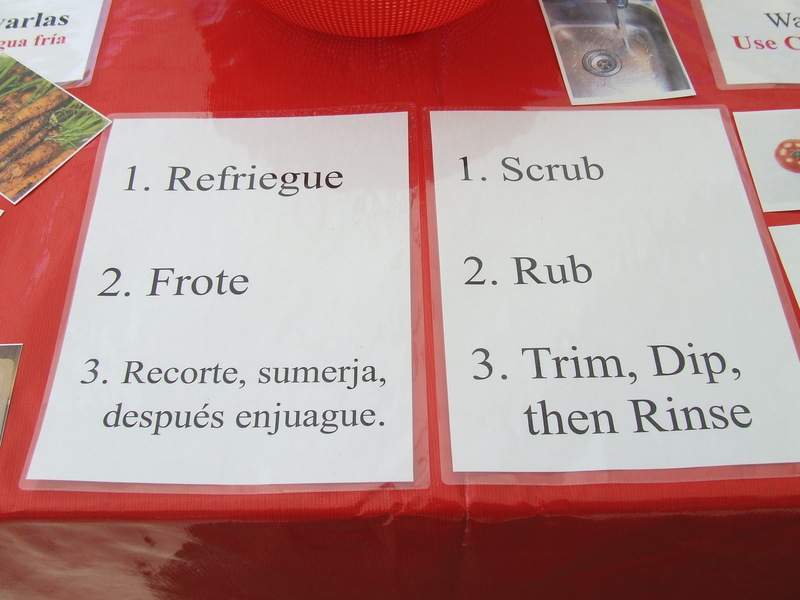 Our learning station, overseen by Brooklyn Food Coalition‘s David Buckel and Cornell University provides information about our “Vegetable of the Week” (available for purchase and locally grown), nutrition, diet, how to properly wash and prepare fruit and vegetables to avoid bacterial contamination, portions, steps to take to reduce sodium and easy recipes – in English and Spanish – featuring the vegetable of the week. 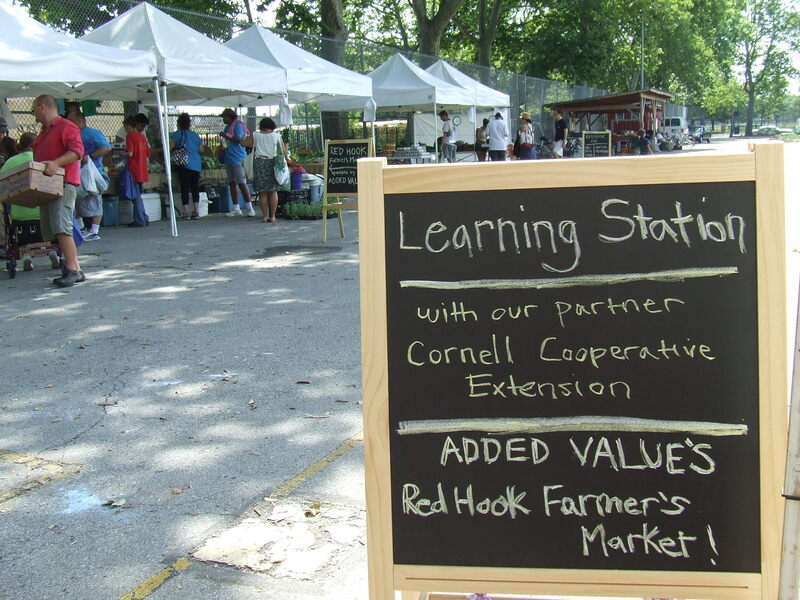 The Learning Station sign with market and CSA in background. Learning station set up and ready for "Red Hook Walks The Talk" walking tours to stop by. Beyond the green beds, IKEA is visible in the background. Do you want to save money – and be sure your food is safe – with your own homemade veggie wash spray? Get a spare spray bottle with a mix of 3 parts water, 1 part vinegar, 1 part lemon juice and a bit of salt or baking soda. Then include a spritz when following the directions below. Please note: it is not good to cut vegetable stems and then soak them in water as bacteria can travel into the vegetable and contaminate it from within. A bowl of cold water and the repeated “dip” is a great way to be sure gravel on spinach and other greens doesn’t make it to your dinner plate. Simple instructions. For example, cantaloupe needs a good scrub as it is typically houses bacteria on its skin. When you cut it and it isn't scrubbed, the knife "drags" the bacteria through the flesh of the fruit. A vegetable brush can be purchased anywhere from Crate & Barrel to a dollar store. To clean it when it gets funky, soak in a bleach and water solution. You can also do this when your sponge starts to smell or for dishes with tough stains. 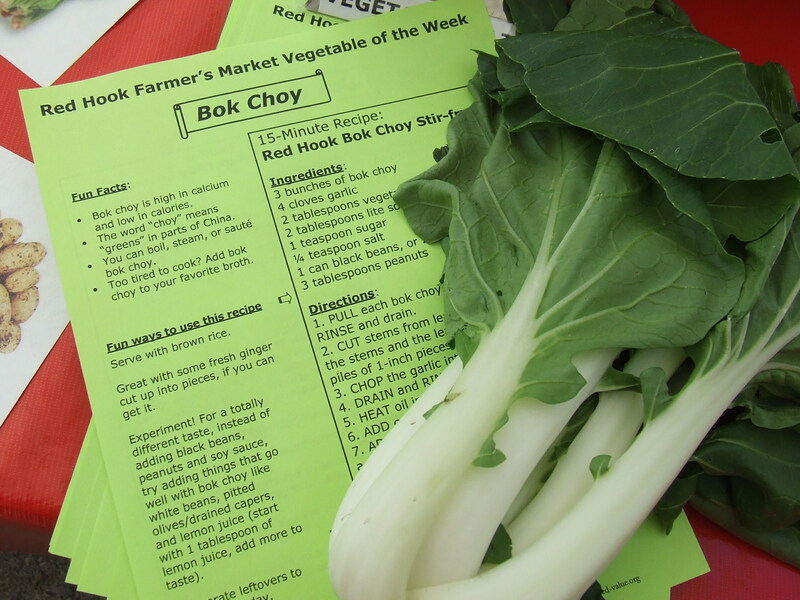 My first veggie of the week: Bok Choy! Also called Chinese cabbage, bok choy is an excellent source of calcium. And with Added Value, which also provides vital work opportunities for teens including the green jobs of tomorrow (they learn about growing food, recycling, greenhouses and organic composting systems), I hope to make an impact in 2011 and build relationships with our healthy counterparts, as different from me as they may be, to strengthen our community’s health, diversity, sustainability, communication and education. 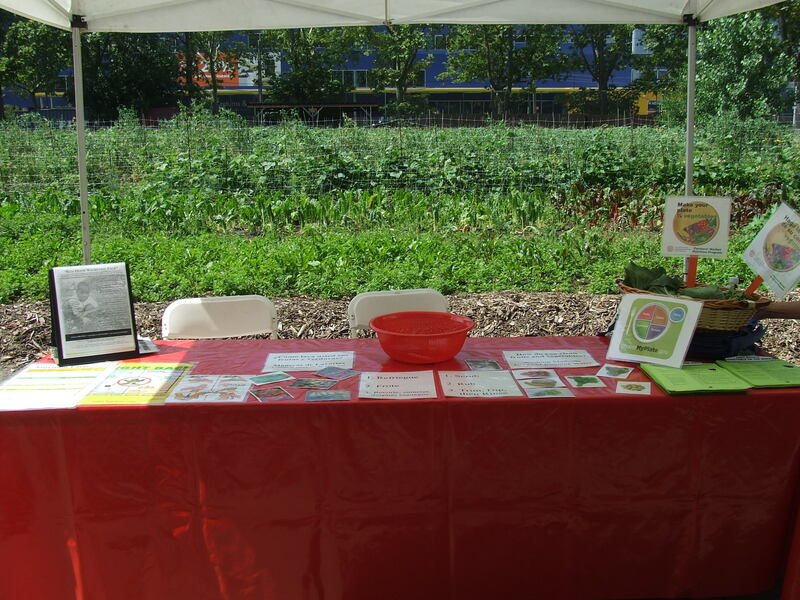 And our challenge in 2011: how to get information “into” the Red Hook Houses to educate and inform its 8,000 residents about healthier eating, diet related disease and illness prevention and encourage them to shop at the farm market. 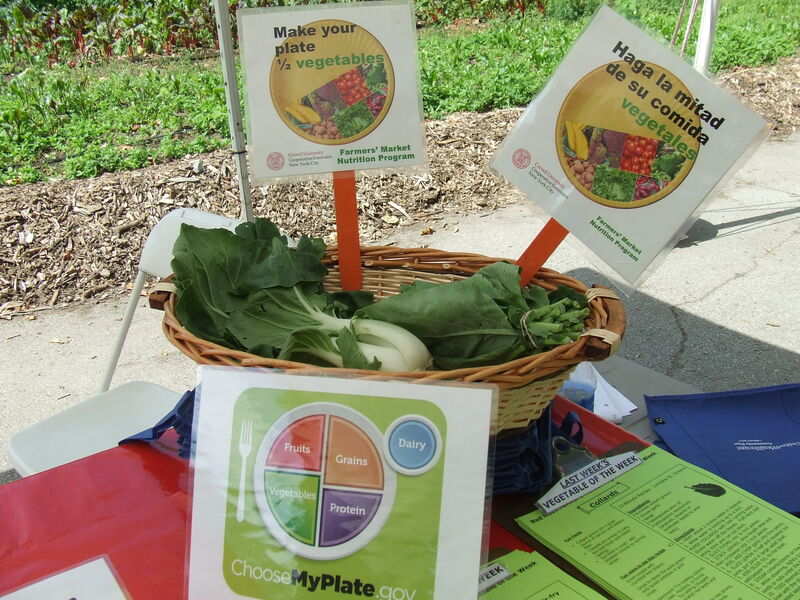 And if eligible, use SNAP, EBT and Food Stamp benefits to purchase good, affordable food locally. Added Value’s Ian Marvy has said, “It’s driving home the idea of fresher food for less money, right down the block.” Both the farm and CSA (although closed to new members until 2012) both accept food stamp benefits. 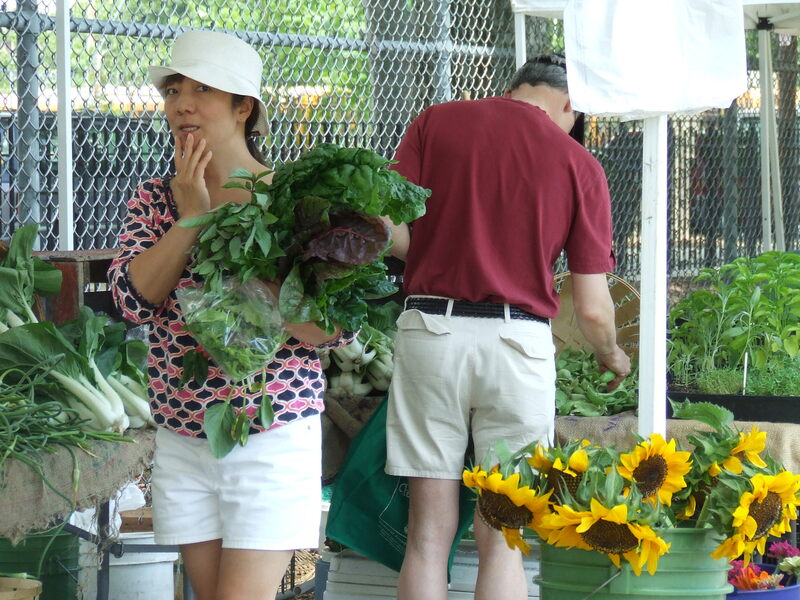 Interested parties should refer to www.snaptomarket.com and search by zip code to find nearby farm markets in their community that currently accept benefits. 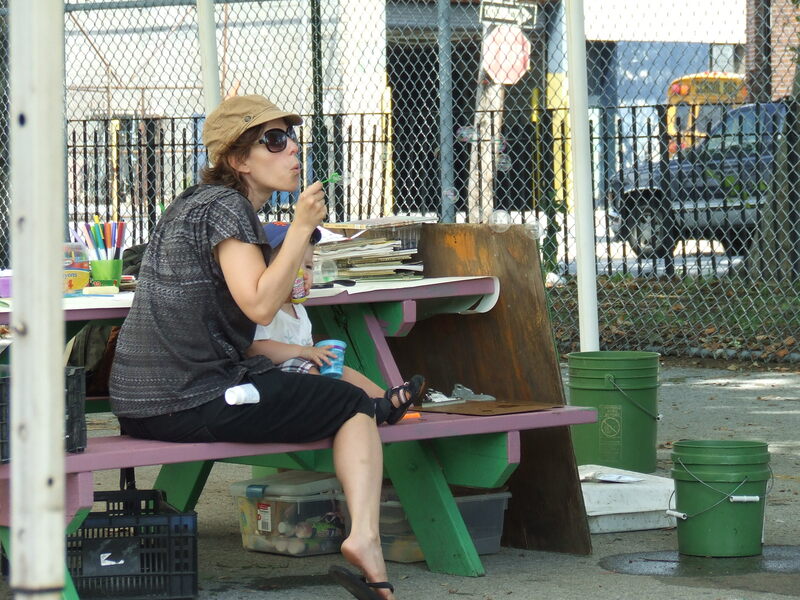 A mother entertains her son with bubbles at the Children's Station. A scavenger hunt is also available for kids, with the prize being a lovely plant to take home and watch grow. He caught me taking his picture. 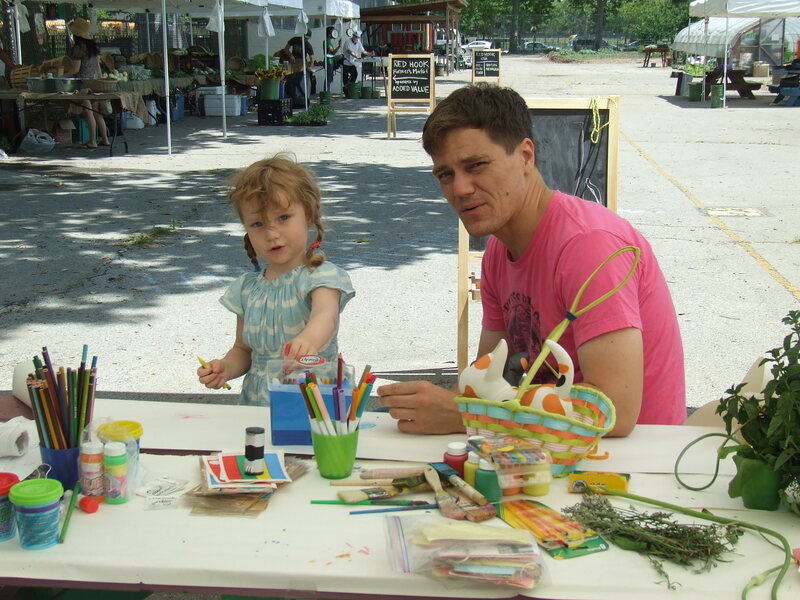 Sylvie and Michael Shannon enjoy the Children's Station and do some drawing. A patron of the farm market stocks up on locally sourced, organic produce and looks to be contemplating her next ingredient. 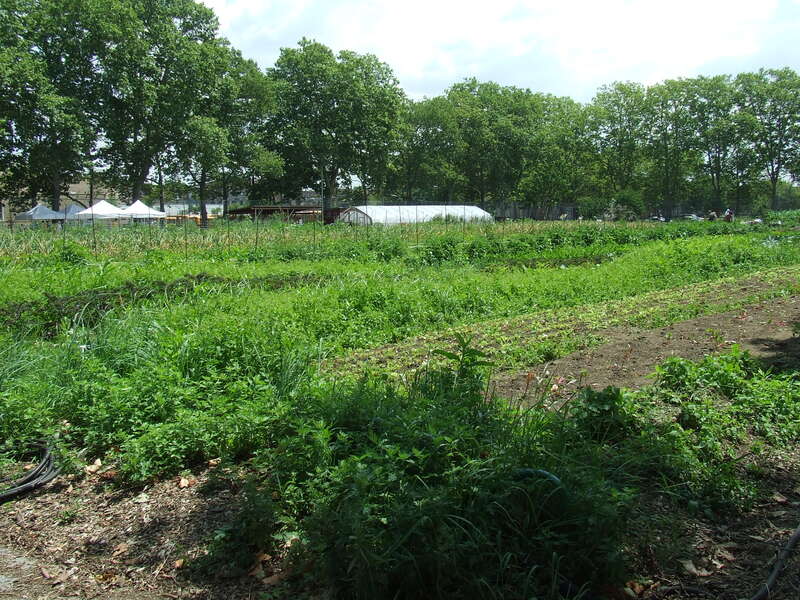 A community member weeds the vegetable beds at Red Hook, Brooklyn's Added Value Farm. Visit the farm (map and location here) by taking the free IKEA ferry from Pier 17 in Manhattan. Since IKEA is across the street from the farm, you can follow any of these directions to get there. The farm is open from 9am to 4pm on Saturdays. Compost welcome! I’ll be there on Saturday, July 9th from 9am until 1pm or so. And the vegetable of the week: celery! Learn how to skillfully remove the string and pick up some produce for your own culinary experiments. And remember, enjoy your food!